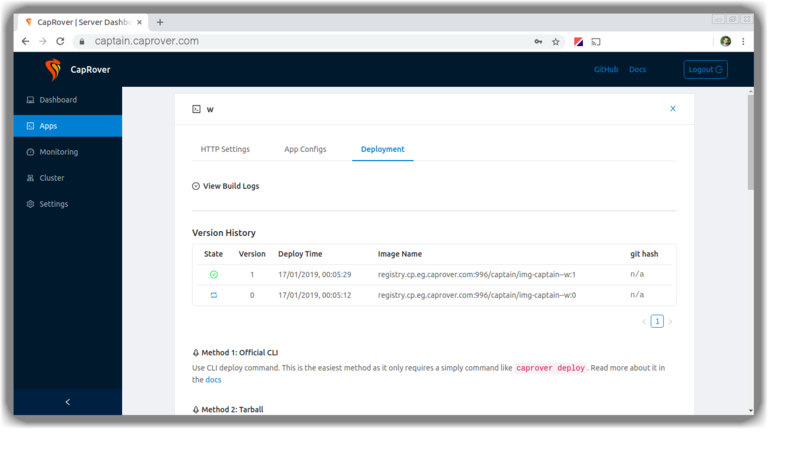 CapRover · Build your own PaaS in a few minutes! 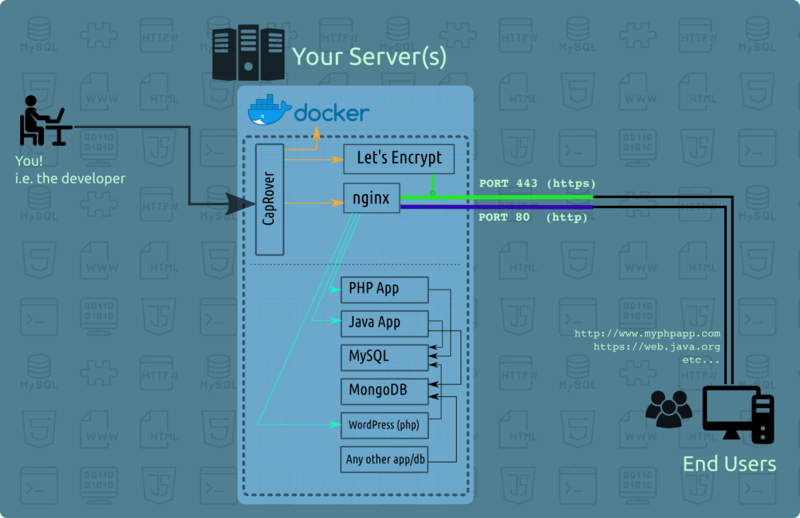 Build your own PaaS in a few minutes! 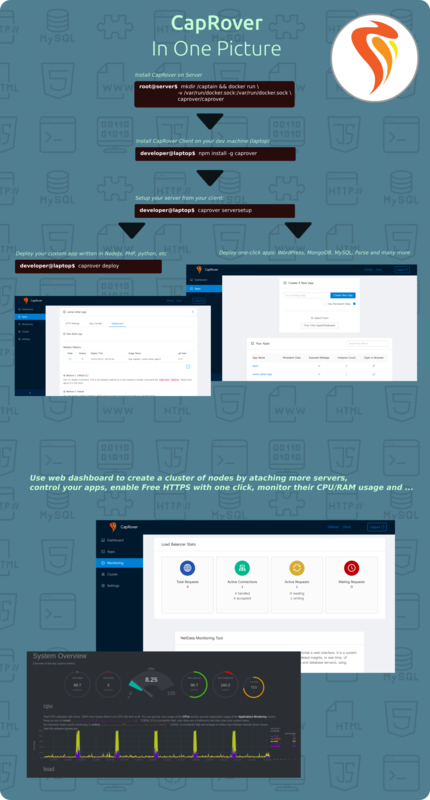 CapRover is an extremely easy to use app/database deployment & web server manager for your NodeJS, Python, PHP, ASP.NET, Ruby, MySQL, MongoDB, Postgres, WordPress (and etc...) applications! ✔ No lock-in! Remove CapRover and your apps keep working! Attach more nodes and create a cluster in seconds! CapRover automatically configures nginx to load balance.